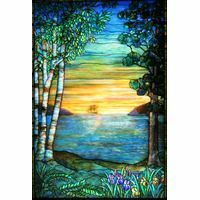 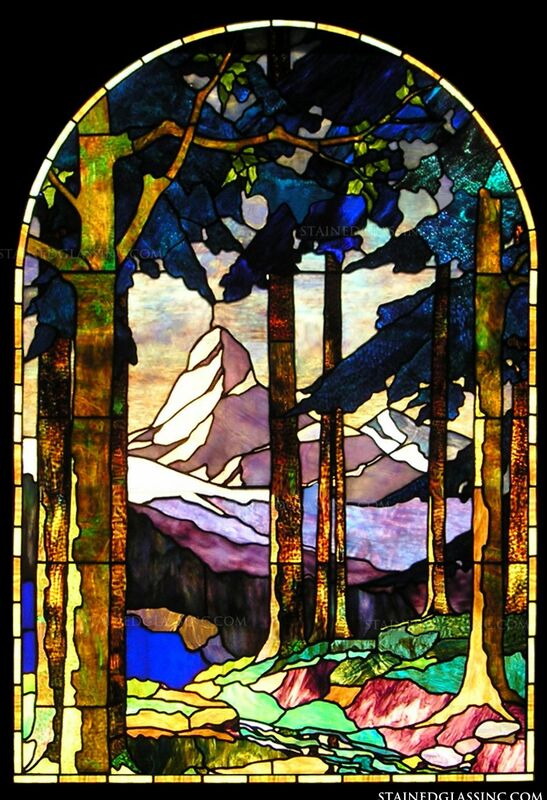 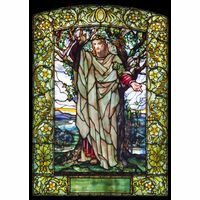 The tree line of a colorful forest is beautifully pictorialized in this Tiffany style stained glass window panel as well as offers a breathtaking landscape that includes mountains rocks, and the diverse colors found among nature. 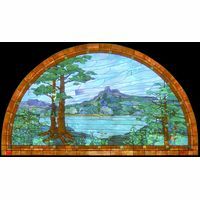 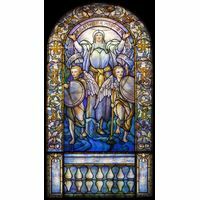 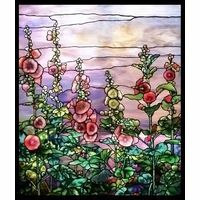 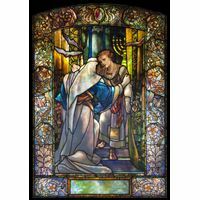 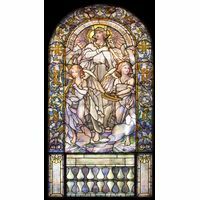 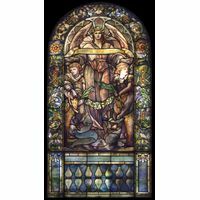 This stained glass panel illustrates the depth and scope of talent offered by our stained glass artists, emulating the fine craftsmanship and visionary designs of Tiffany. 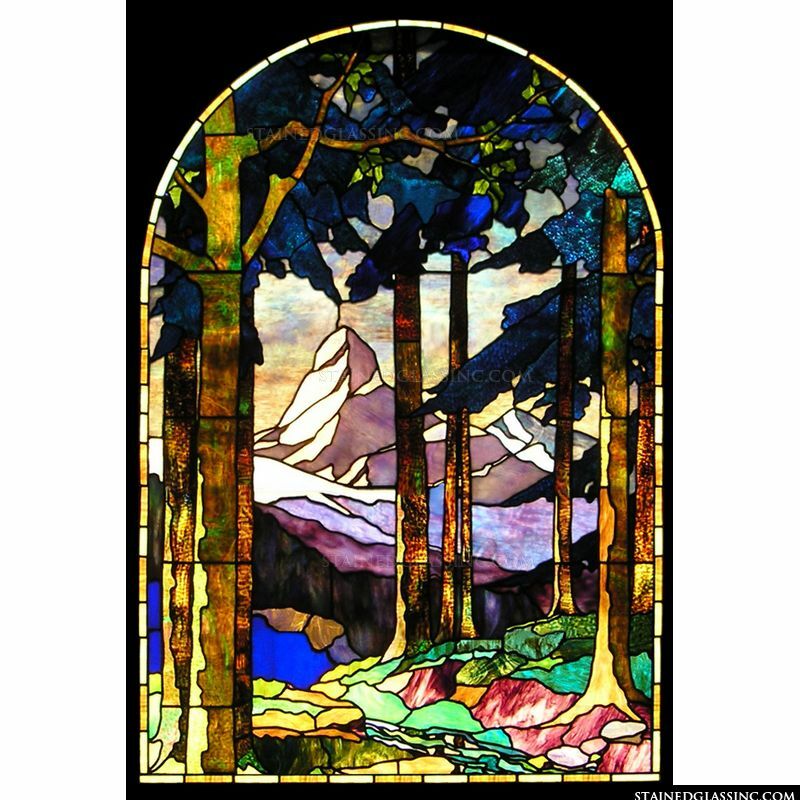 Display this for all to enjoy in your home or office as a wall or window insert oras a ceiling or window hanging.